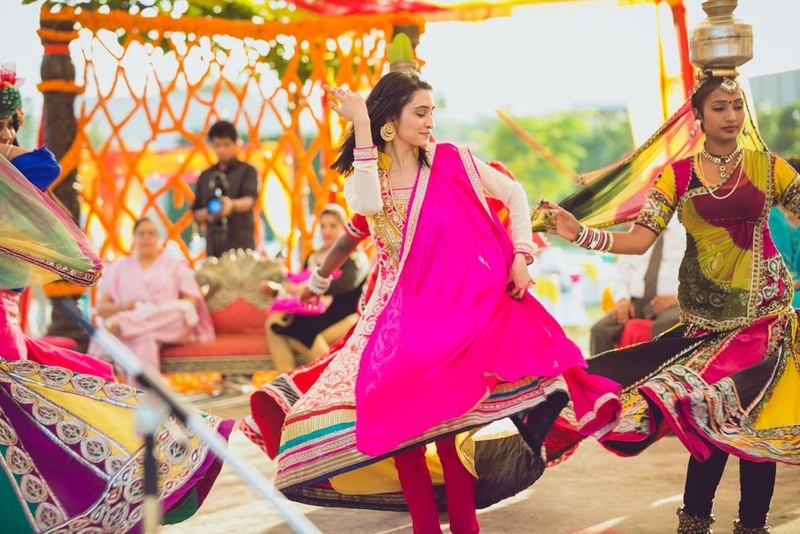 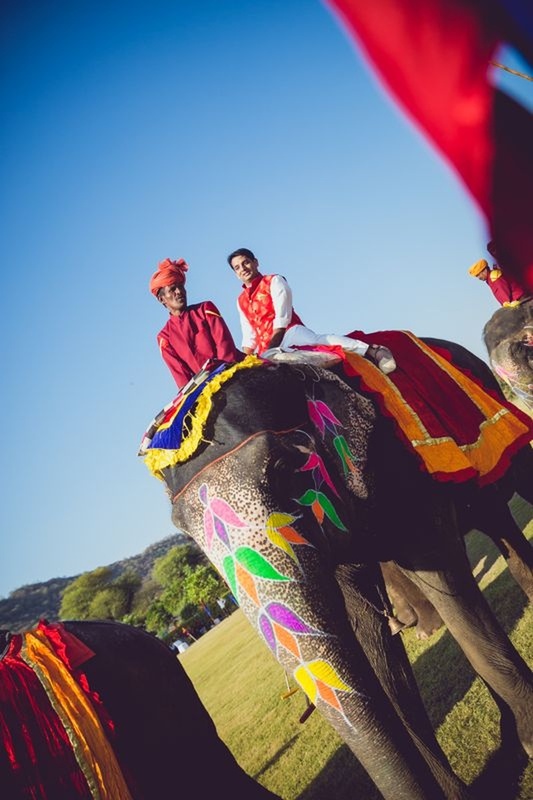 A wedding with the brightest mehndi we’ve ever seen! 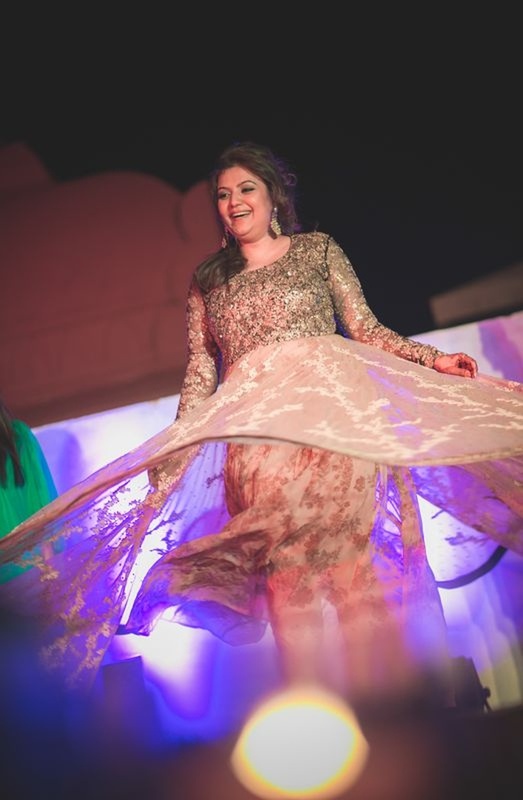 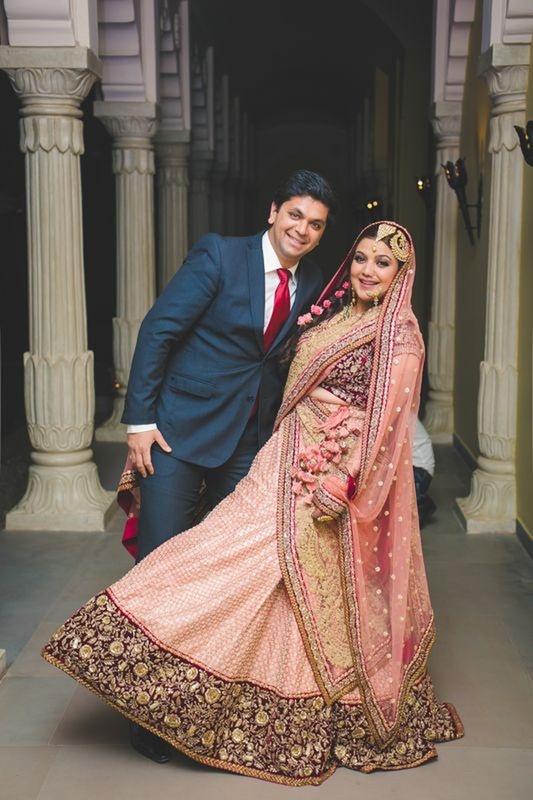 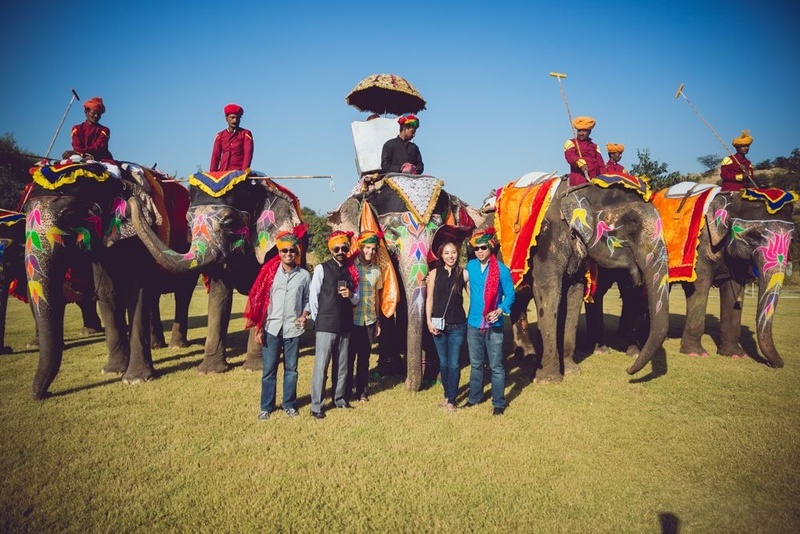 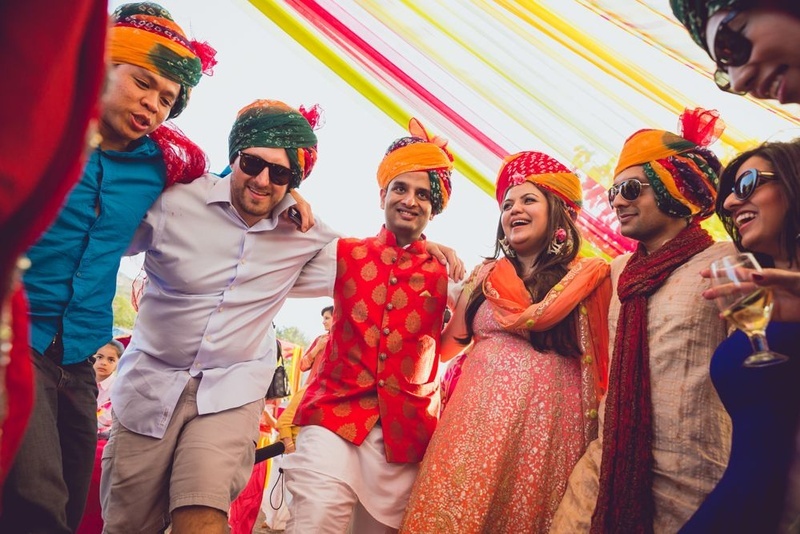 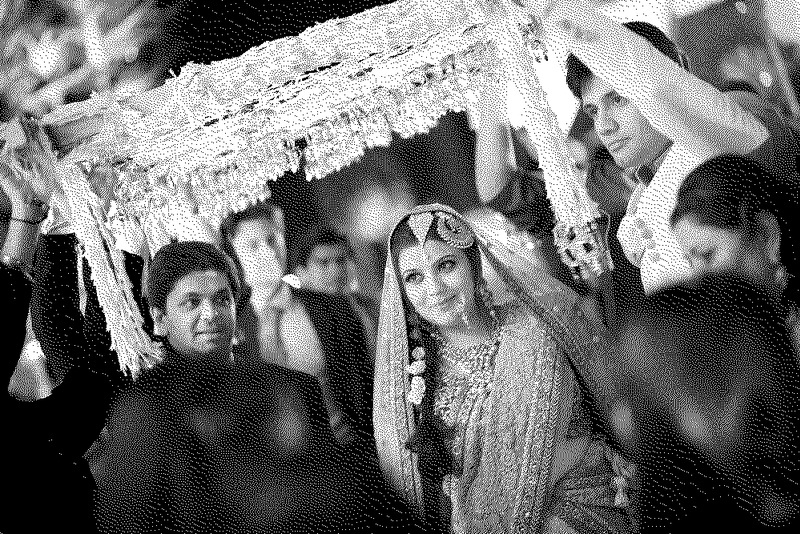 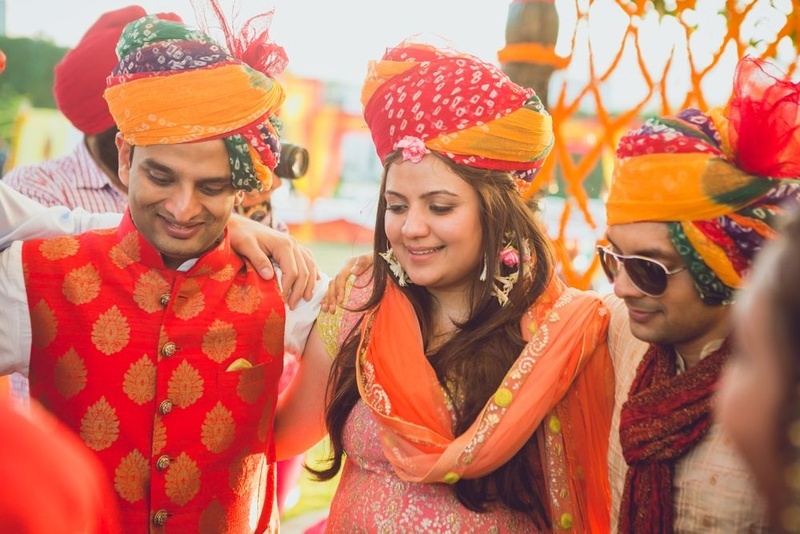 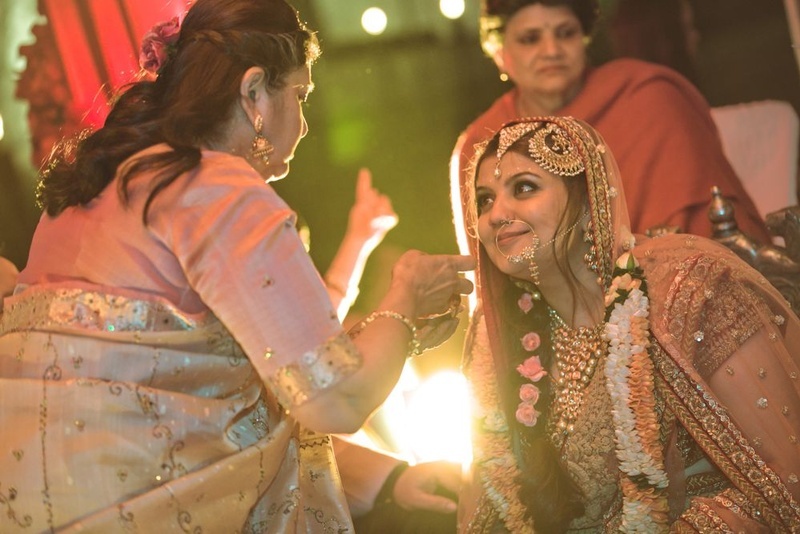 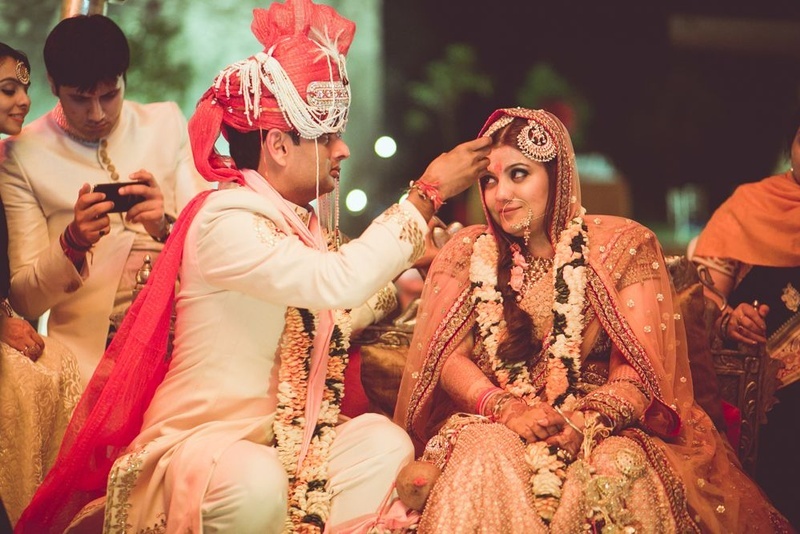 Held at the opulent Fairmont, Jaipur Aditi and Nitin’s wedding was one-of-a-kind gorgeous with all its bouts of beautiful. 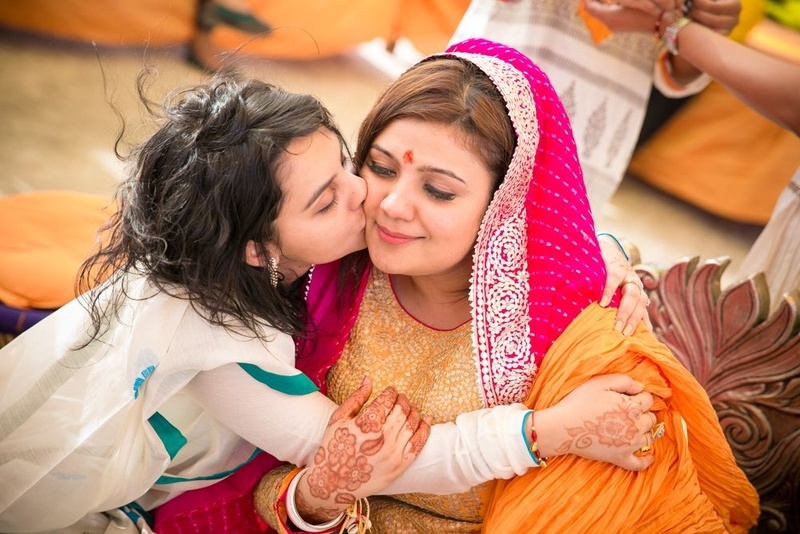 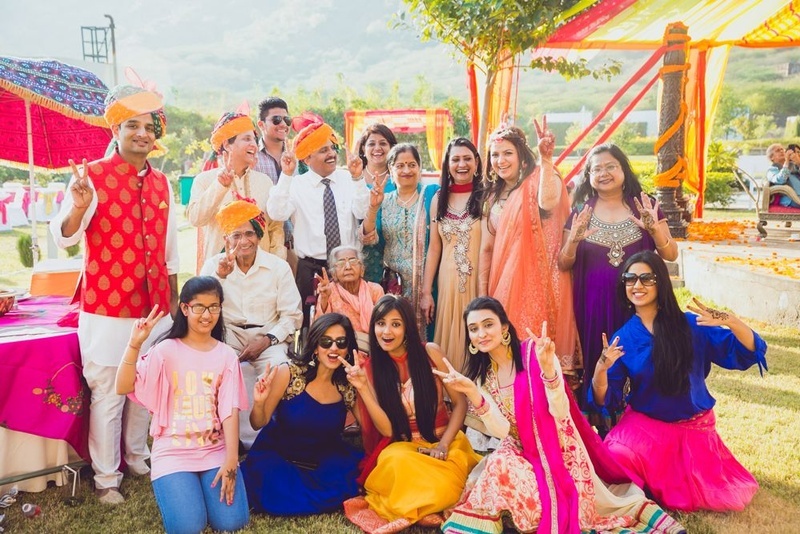 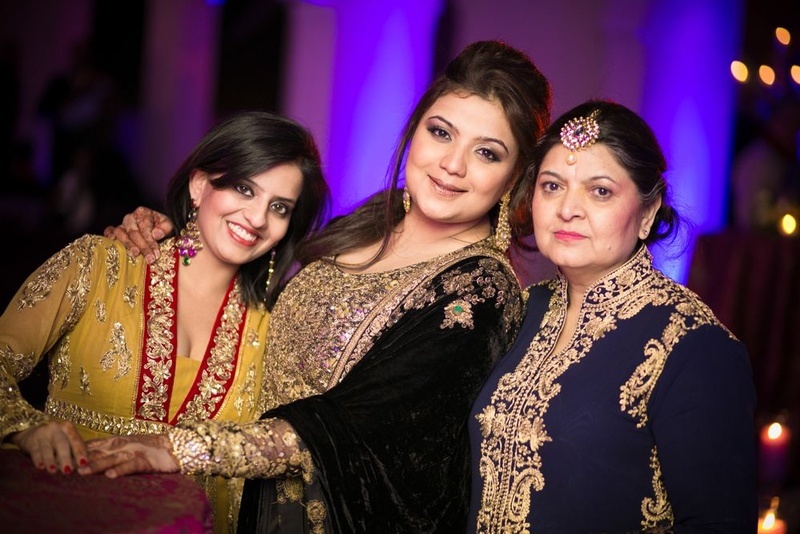 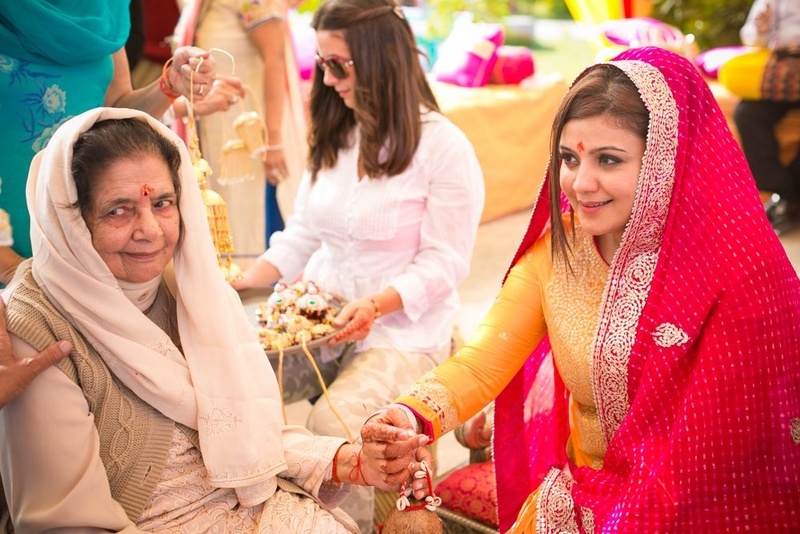 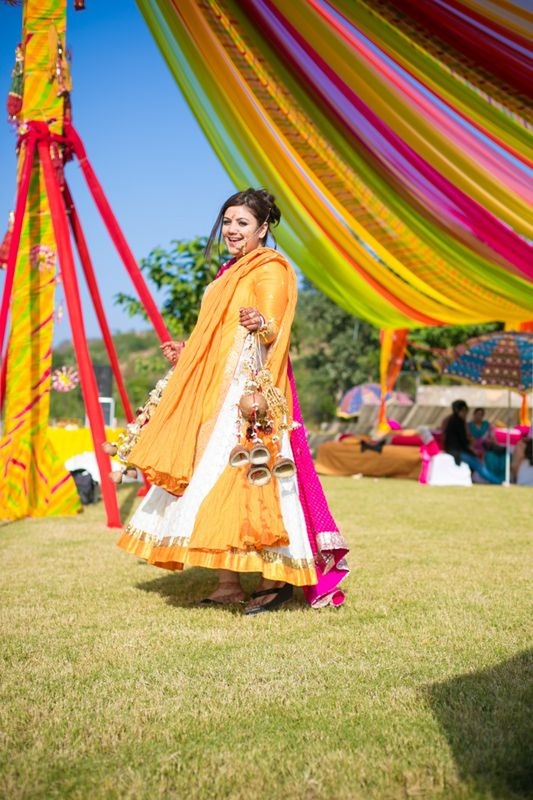 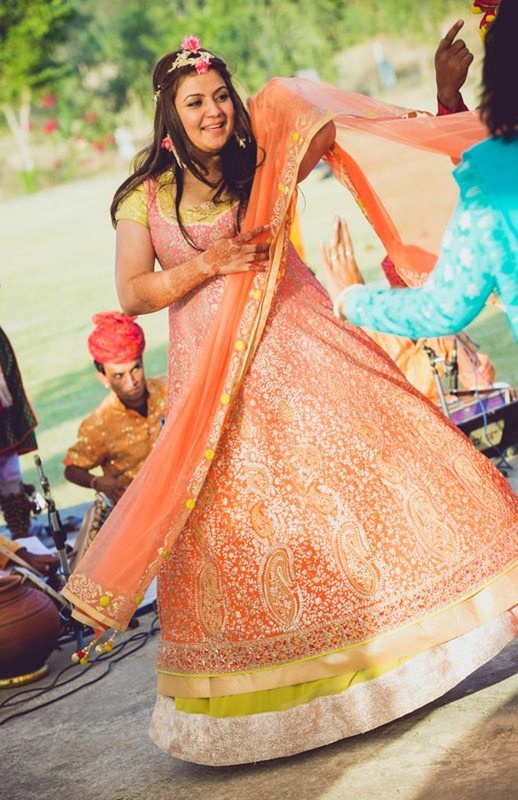 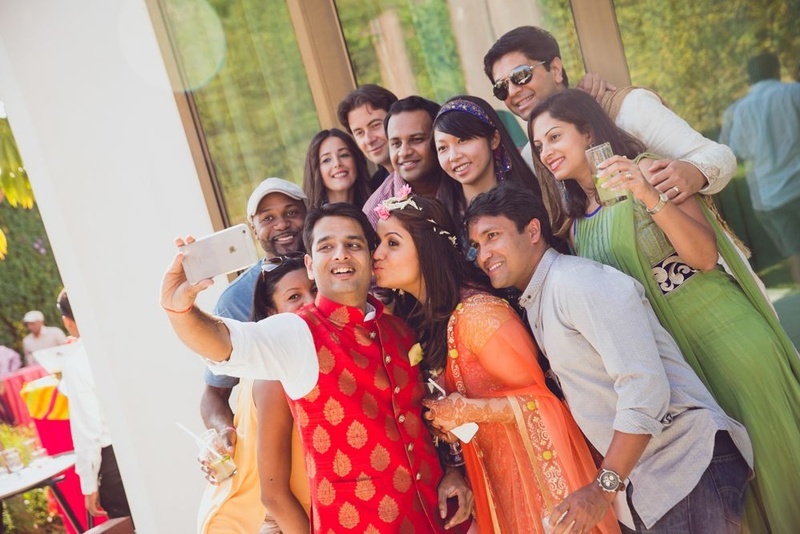 The mehndi + haldi ceremony was setup outdoors on a land sprawling as far as the eye could see. 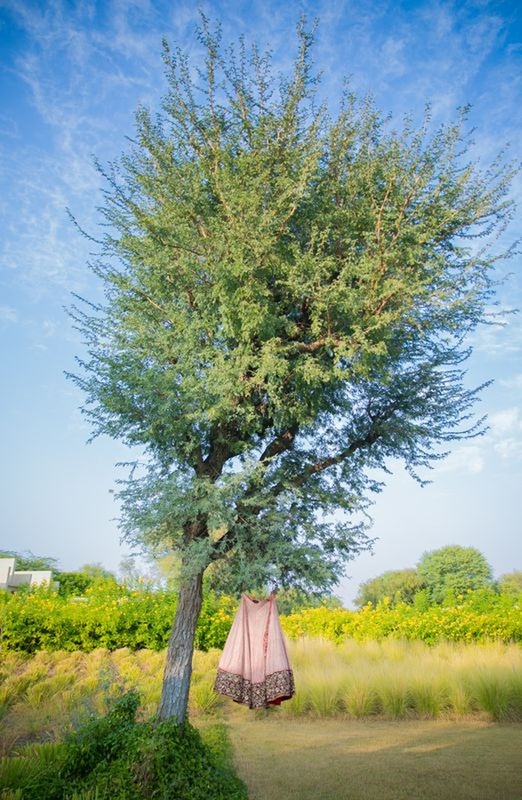 Mountains with trees that had a shade of spring-time green stood tall, bordering the grounds of the outdoor space, adding to the opulence that Jaipur already possesses. 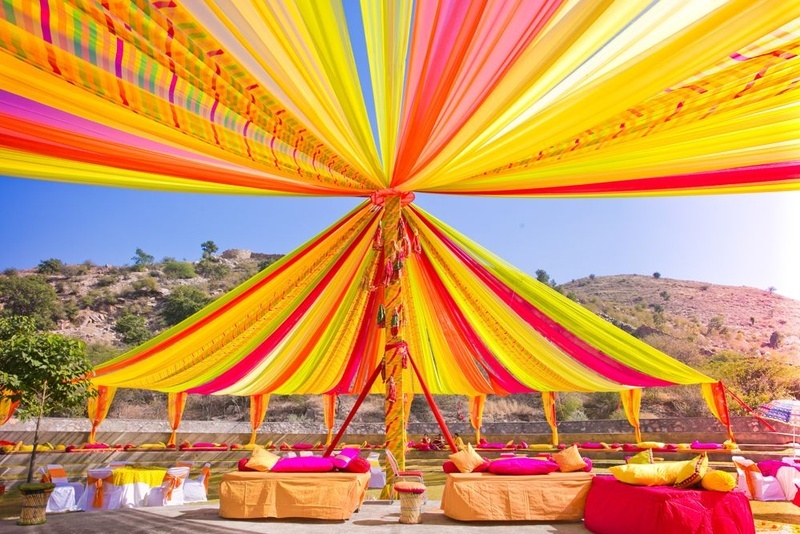 Brightly colored drapes in hues of pink, orange and yellow along with leheriya prints, were beautifully strung to make a canopy that was almost kaleidoscopic. 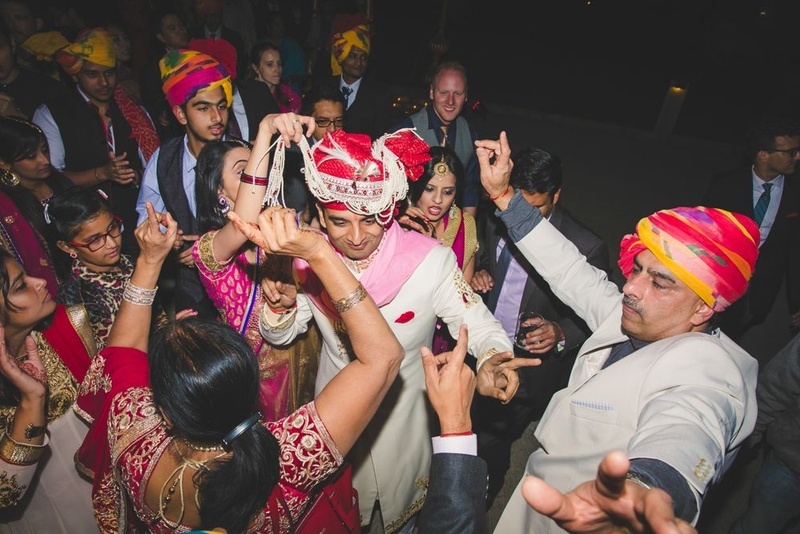 With all the men and women in bandhani safas, exuding the true Rajasthani vibe it was a total desi affair, complete with the shoulder-pumping dance moves and thumkas! 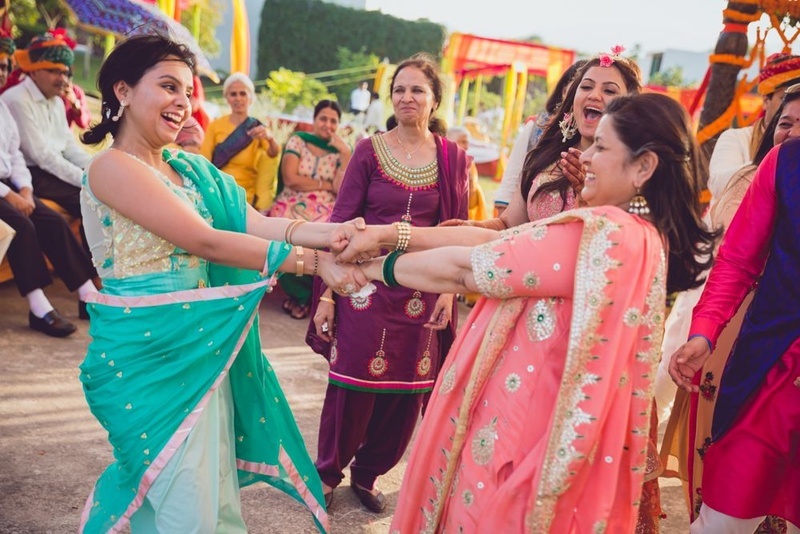 Aditi shimmered as bright as could be in her sparkly anarkali – a good shift from the usual yellows and pinks for a haldi+mehndi ceremony. 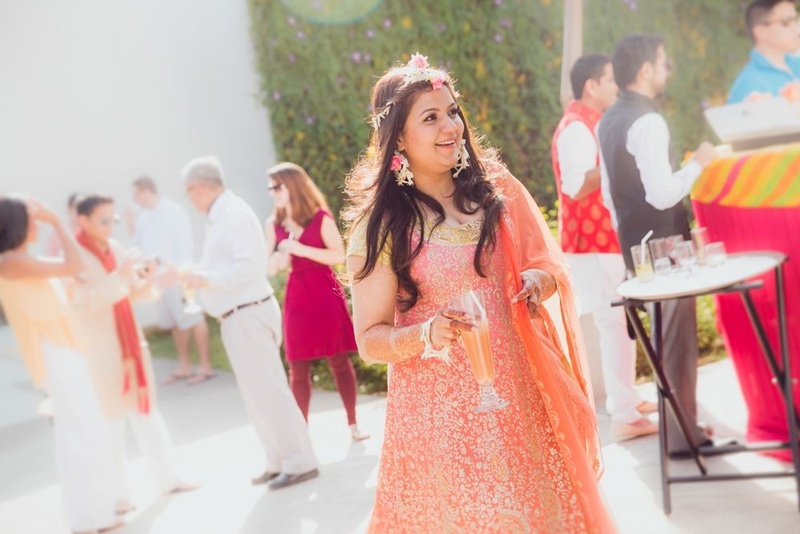 Her anarkali not only looked beautiful but also stood out in perfect contrast to her entire outdoor décor set up – a perfect play of mix and match, we think! 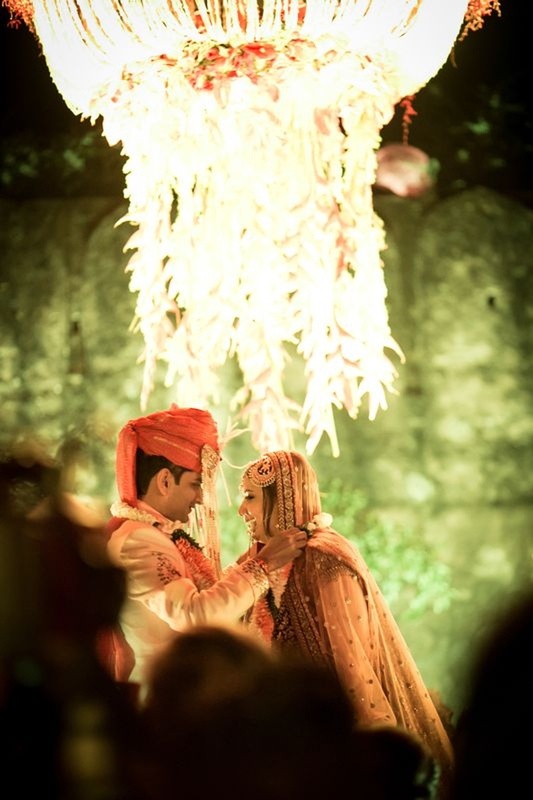 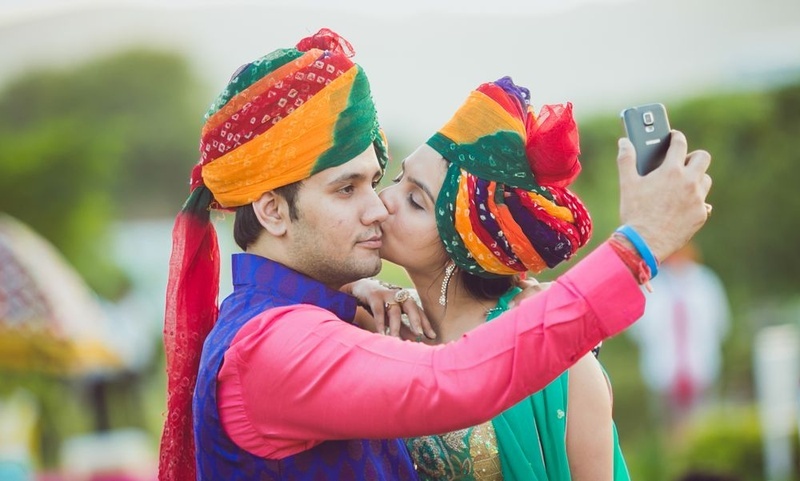 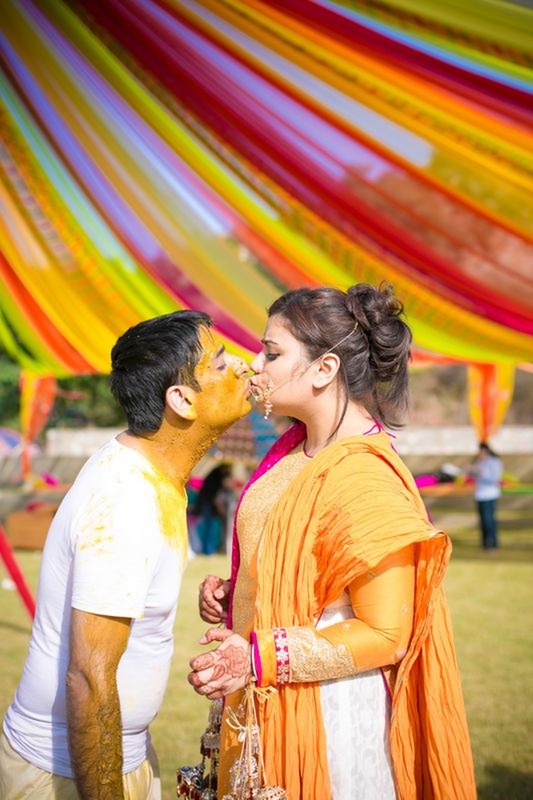 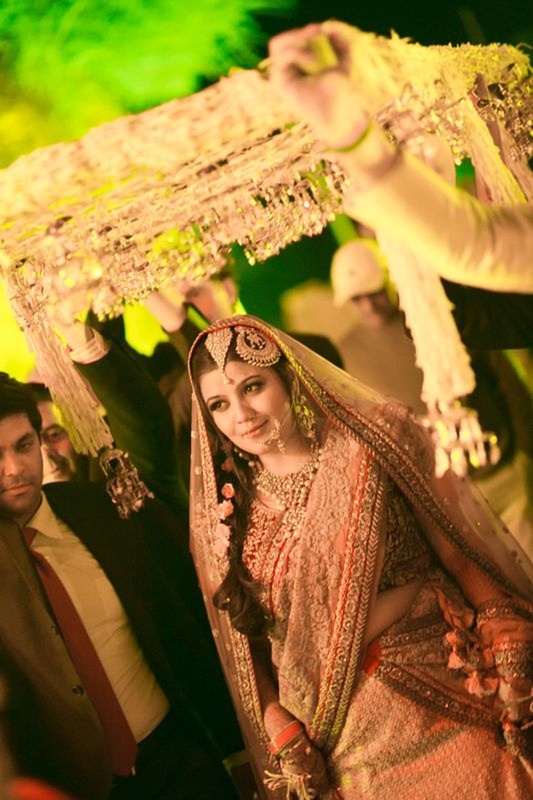 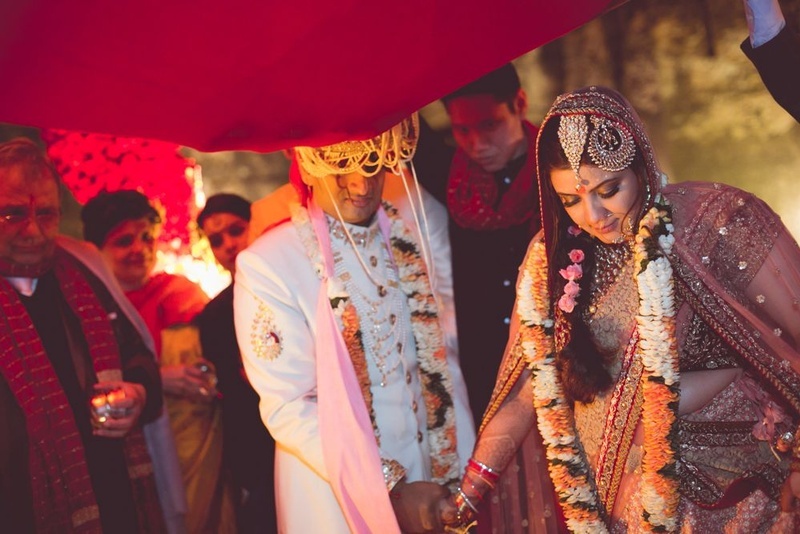 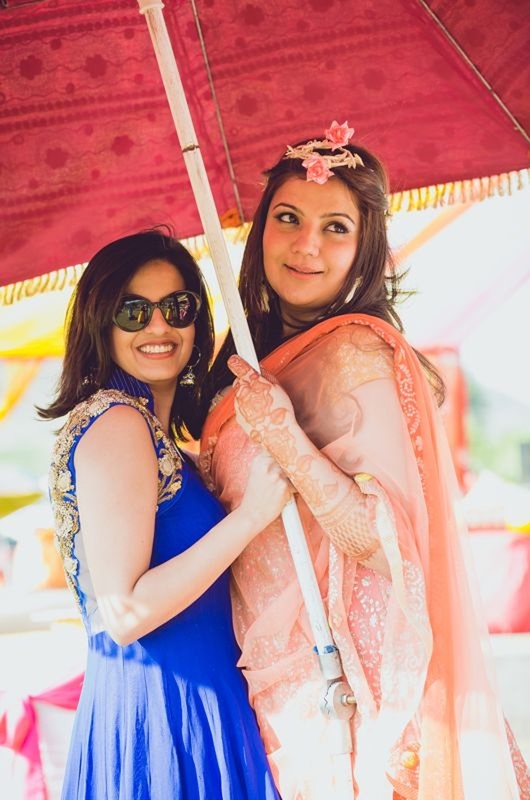 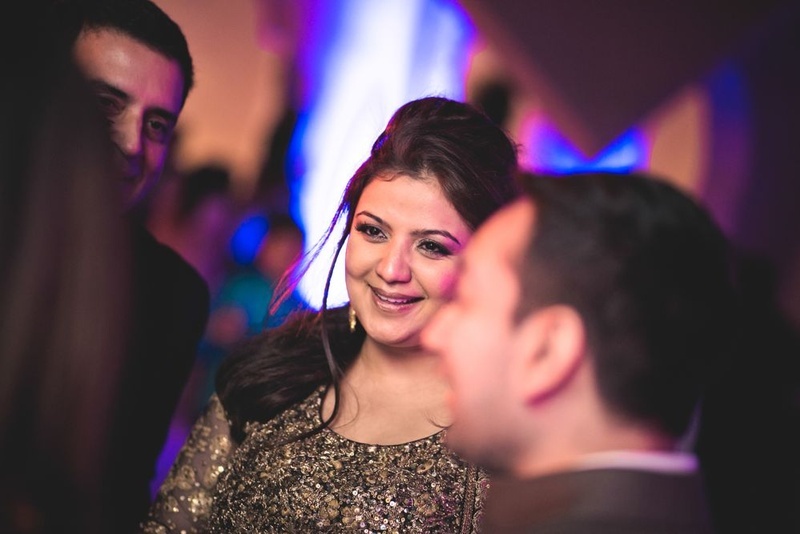 Aditi and Nitin sealed the deal in an outdoor mandap decorated fully in the color of love – red! 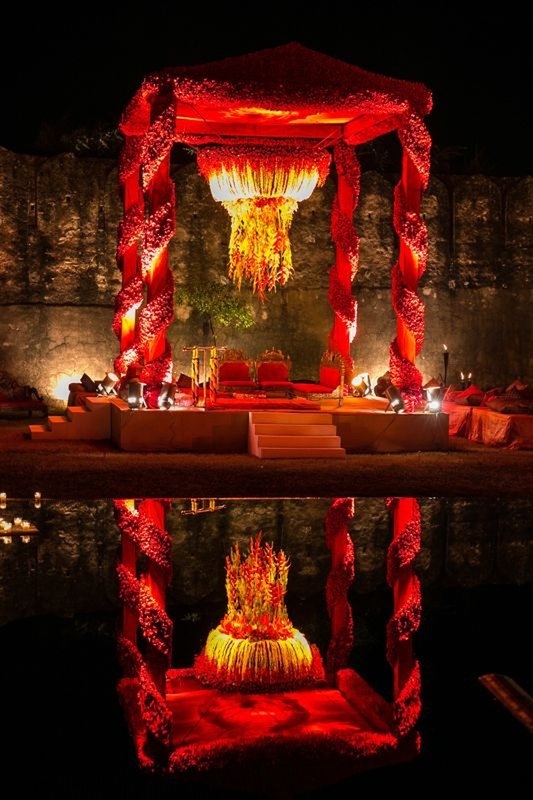 Adorned with a floral chandelier, set up in front of a waterbed, the four pillars of the mandap were wrapped up in red fresh flowers in a spiral design – the wholeness of this outdoor mandap made for an ideal place for Aditi and Nitin to vow their love to each other forever! 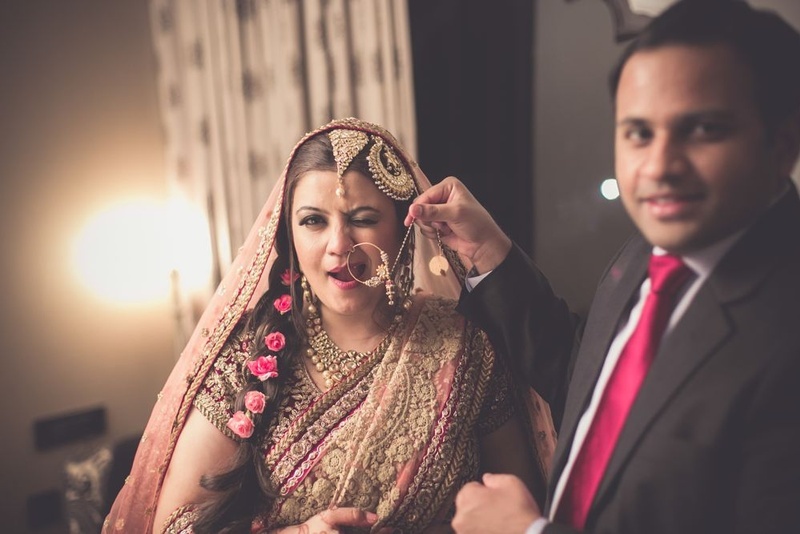 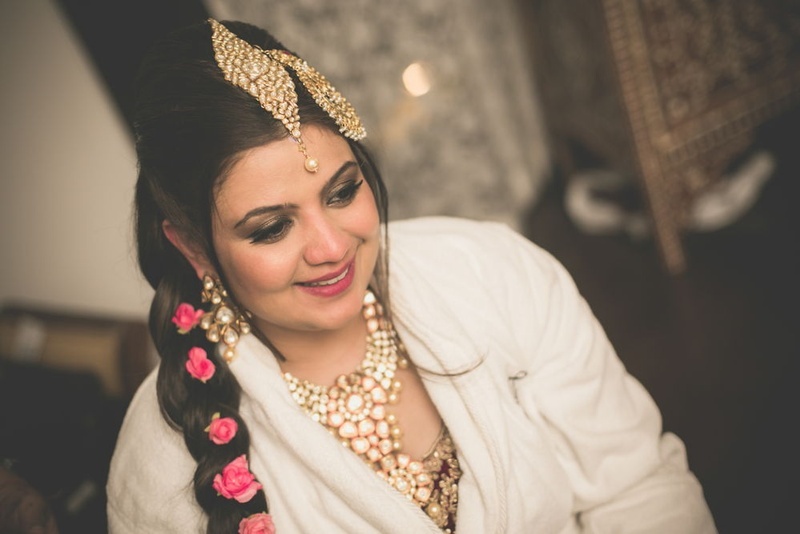 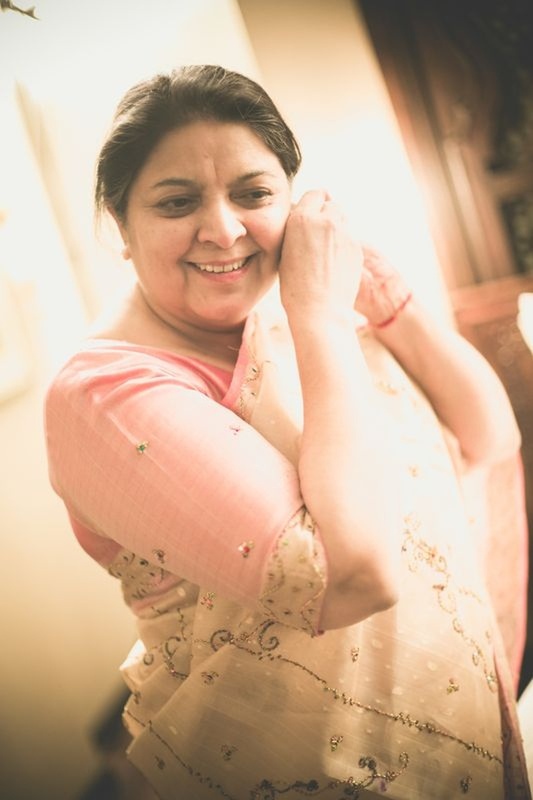 Another reason we adore this beautiful bride and her gorgeous wedding is for her exceptional choice of jewellery! 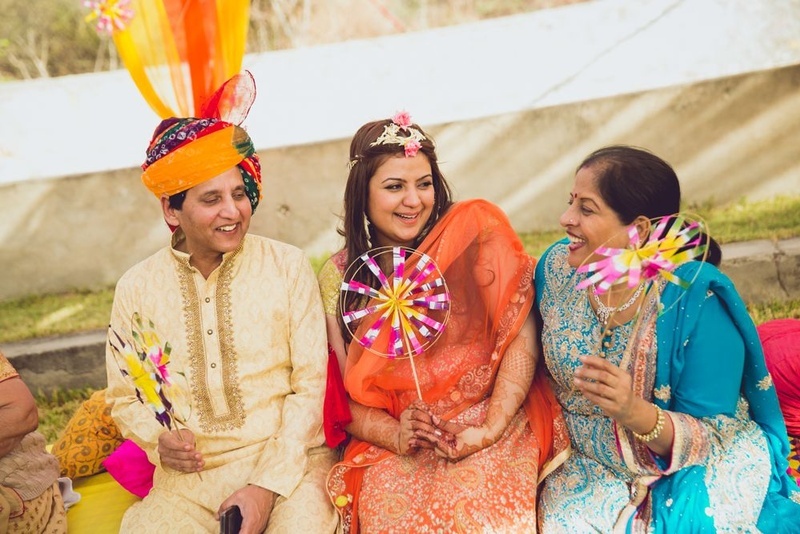 A paan shaped polki maangtikka? 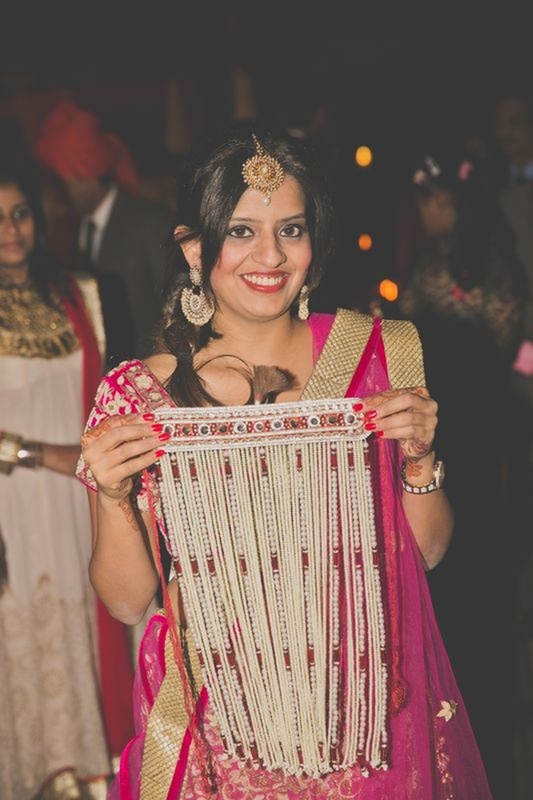 Absolute genius! 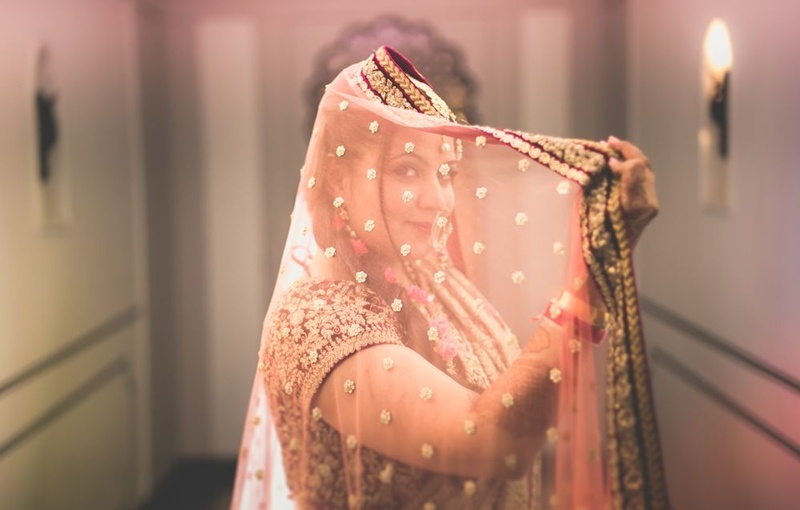 Shot brilliantly by the team at Fotografia 9, who captured this Jaipuri wedding with all its prettiness, emotion and crazy-fun. 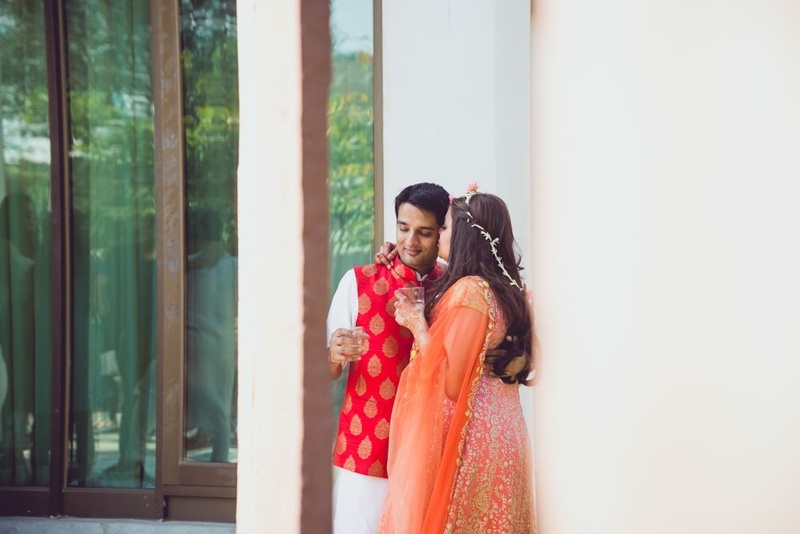 Whether it was this stunning bride twirling in her Sabyasachi lehenga, the energetic baarat or the groom adoring his classic white sherwani with a cuppa! 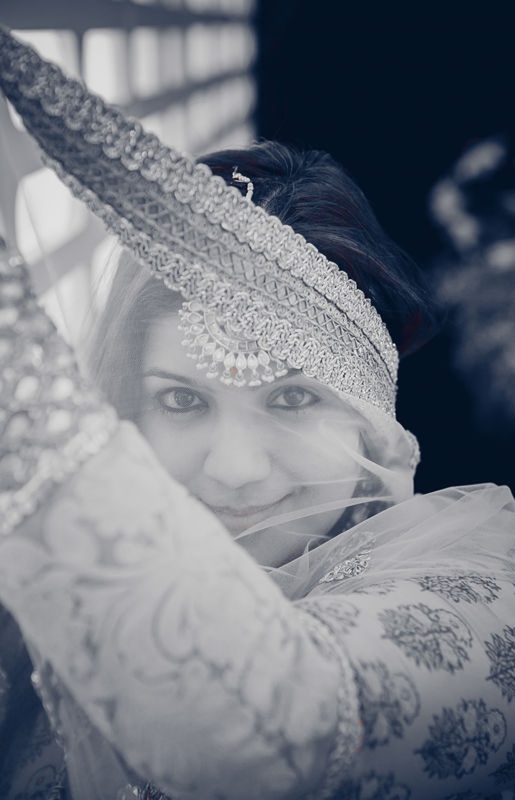 Each photograph shot by them captured every emotion and memory felt.